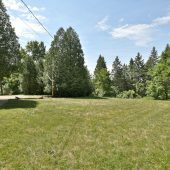 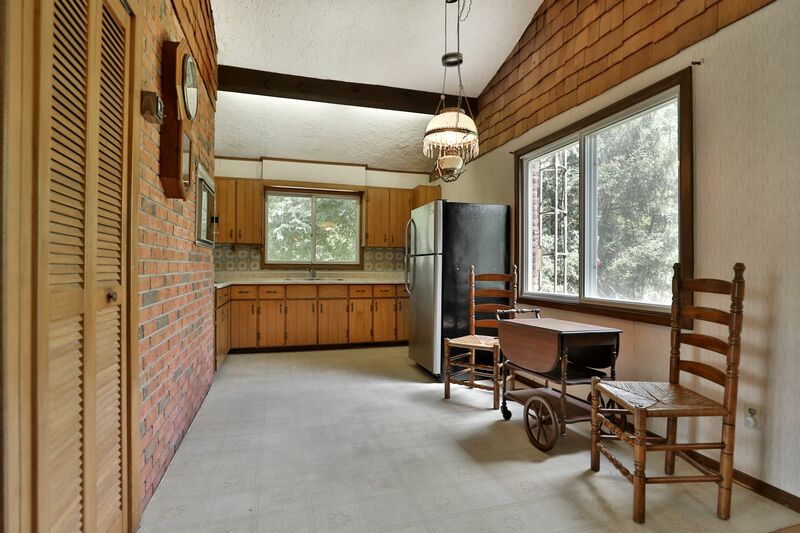 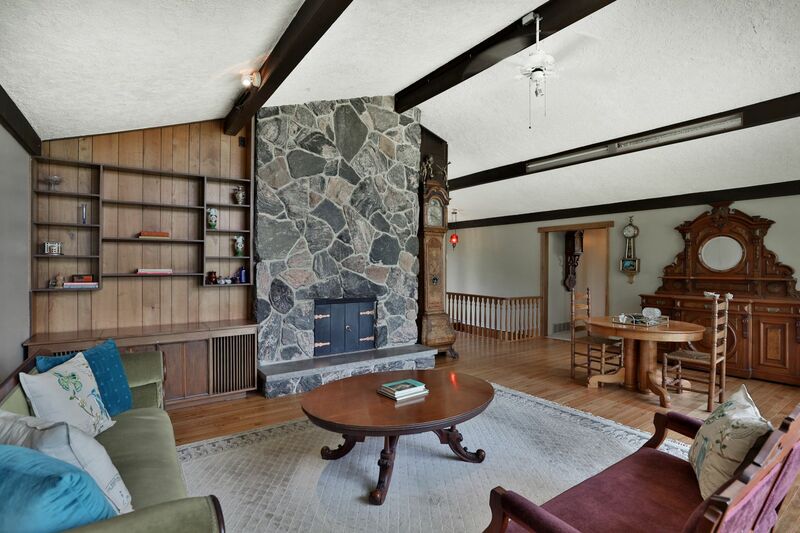 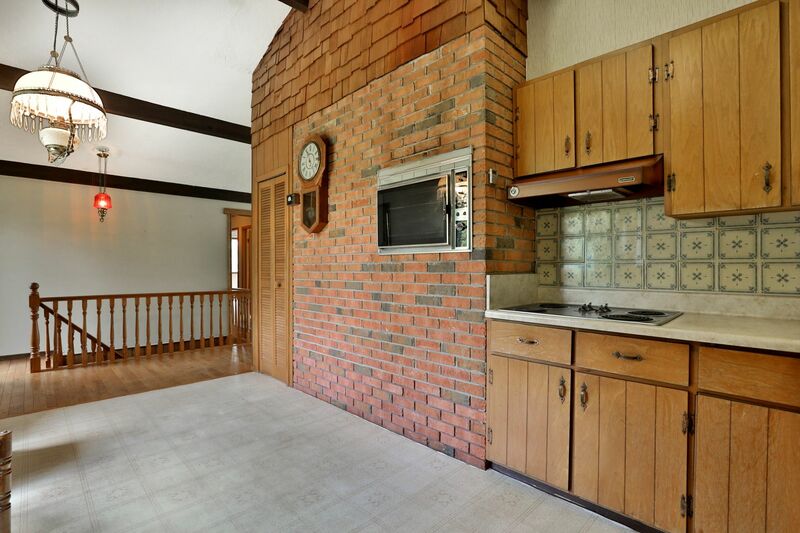 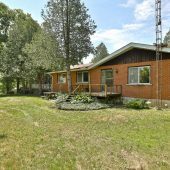 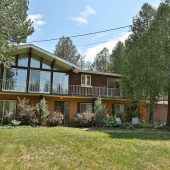 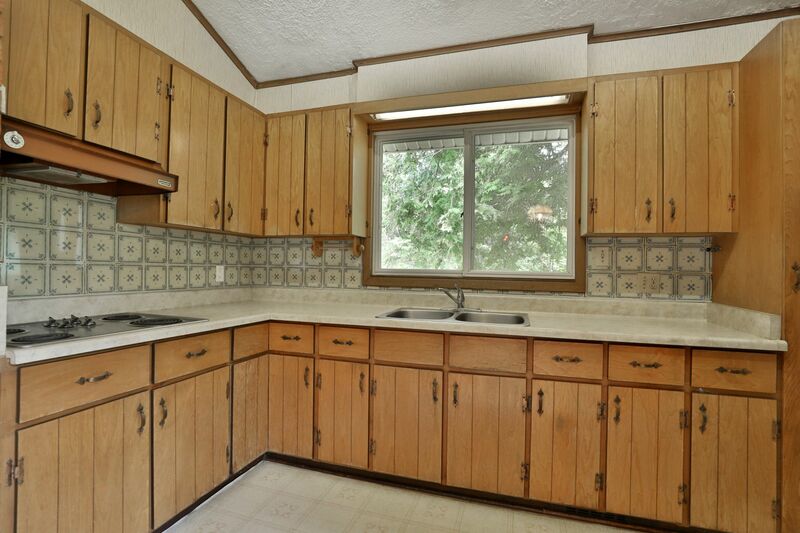 Very pretty 3 Acre lot surrounds this custom built bungalow (1971) with the lower level fully at ground level. 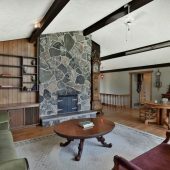 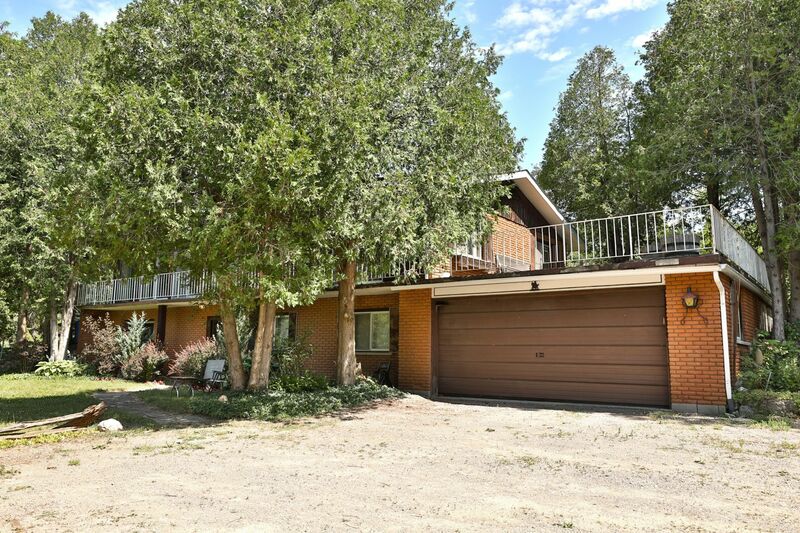 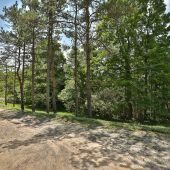 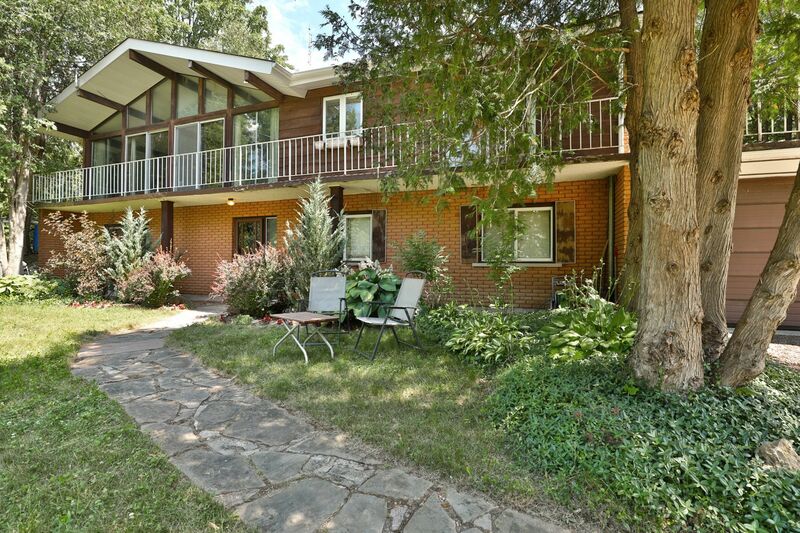 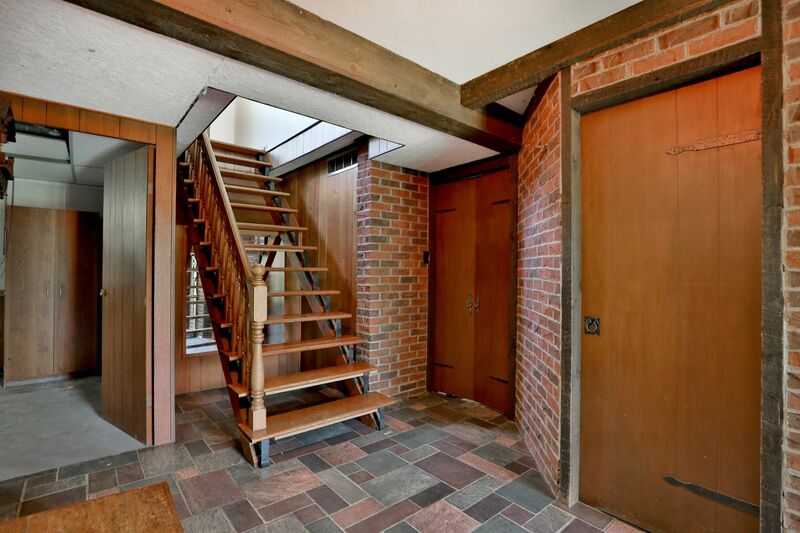 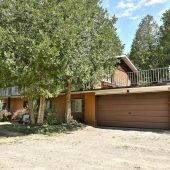 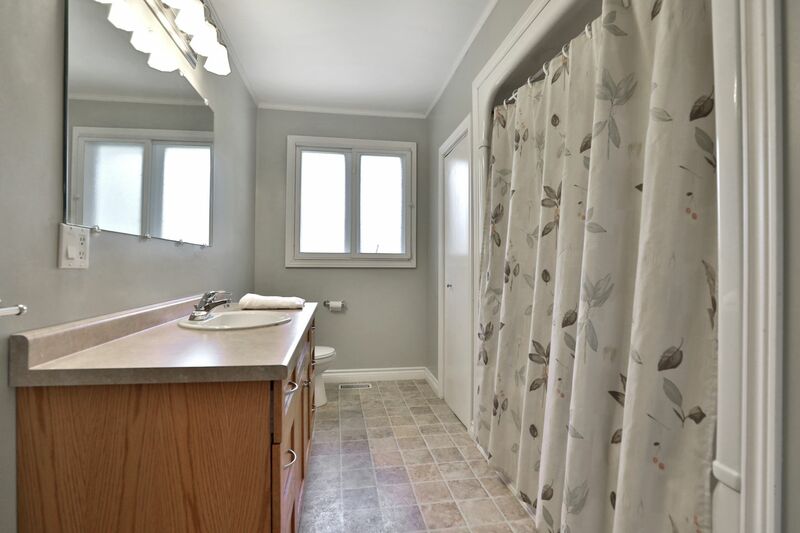 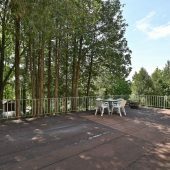 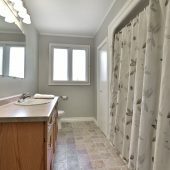 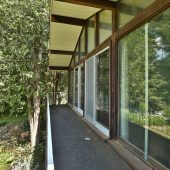 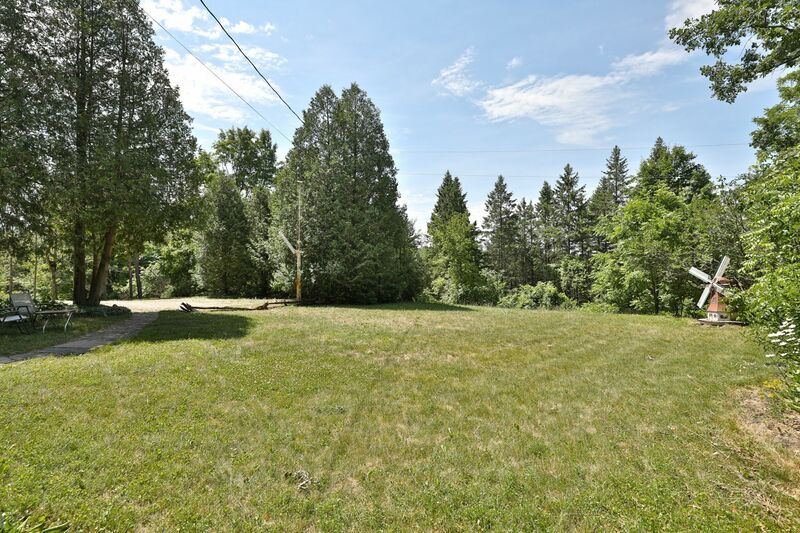 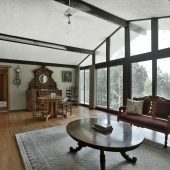 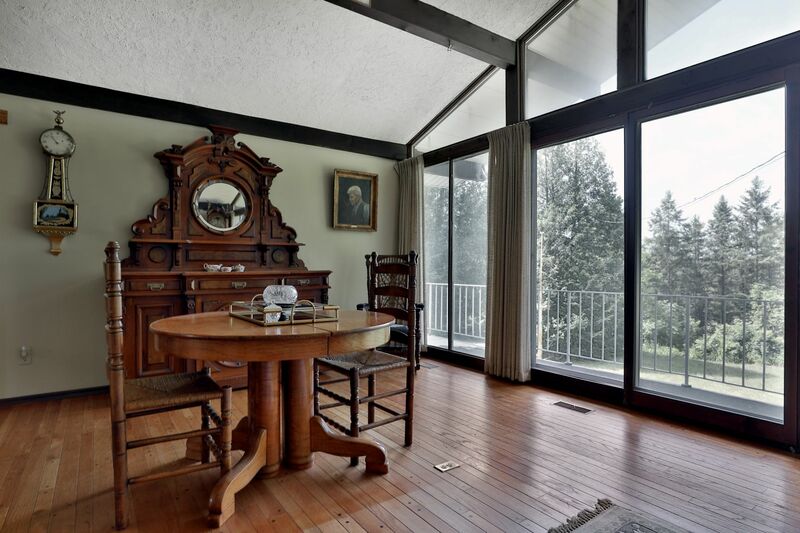 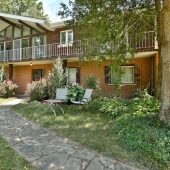 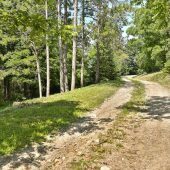 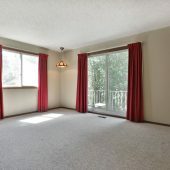 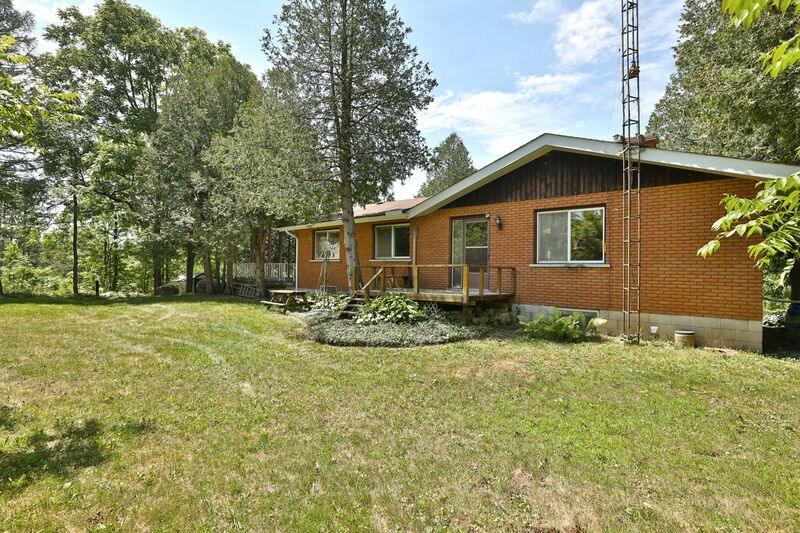 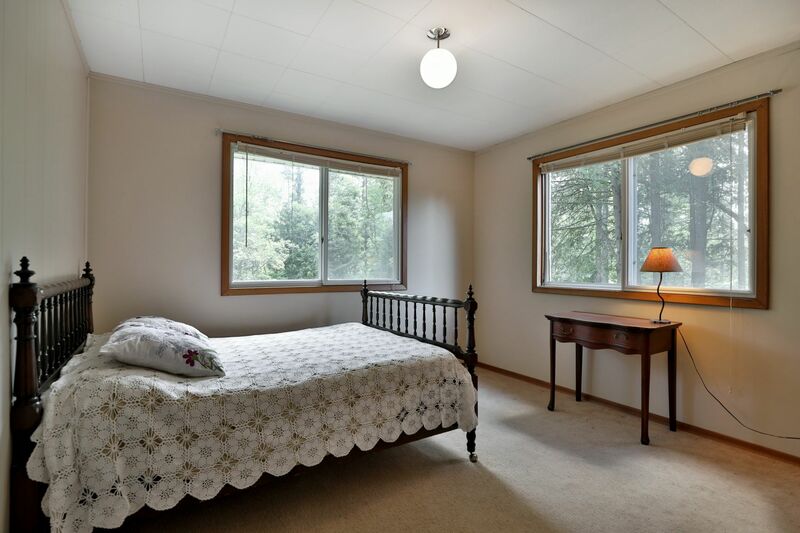 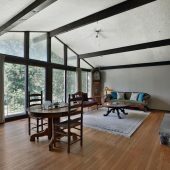 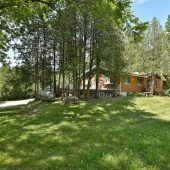 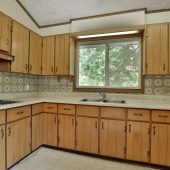 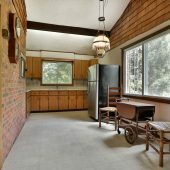 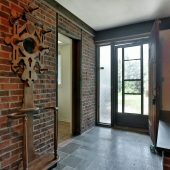 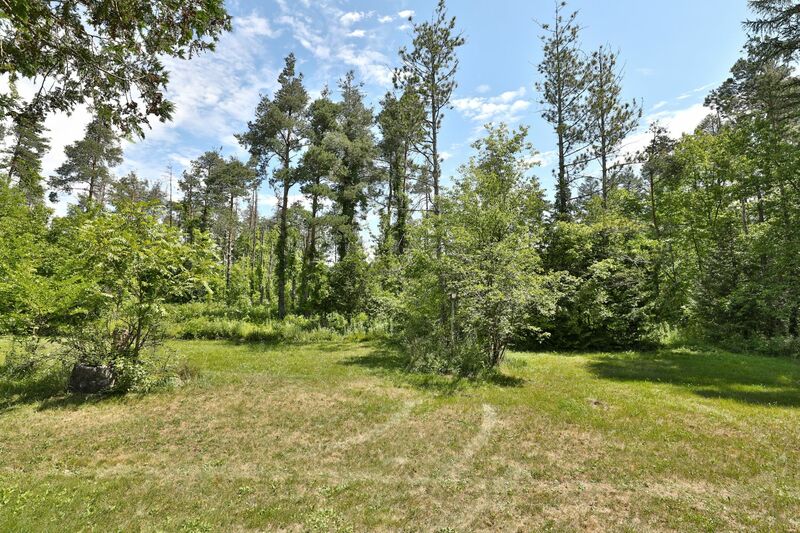 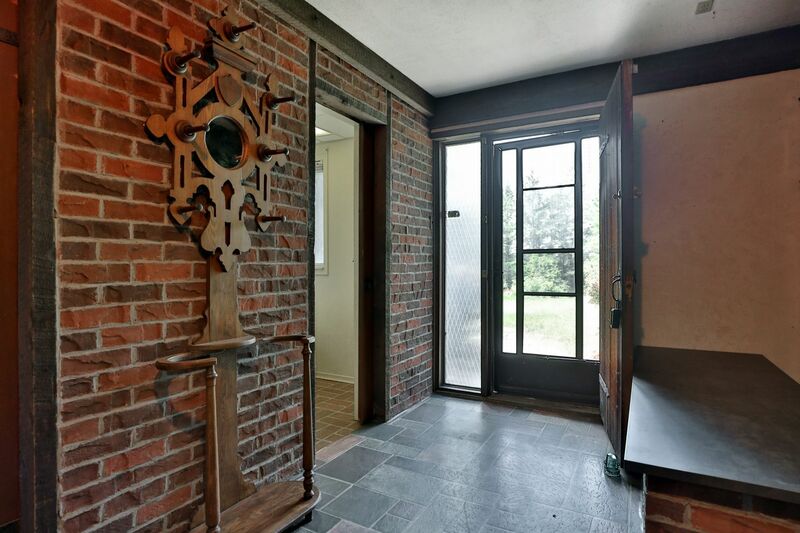 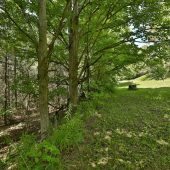 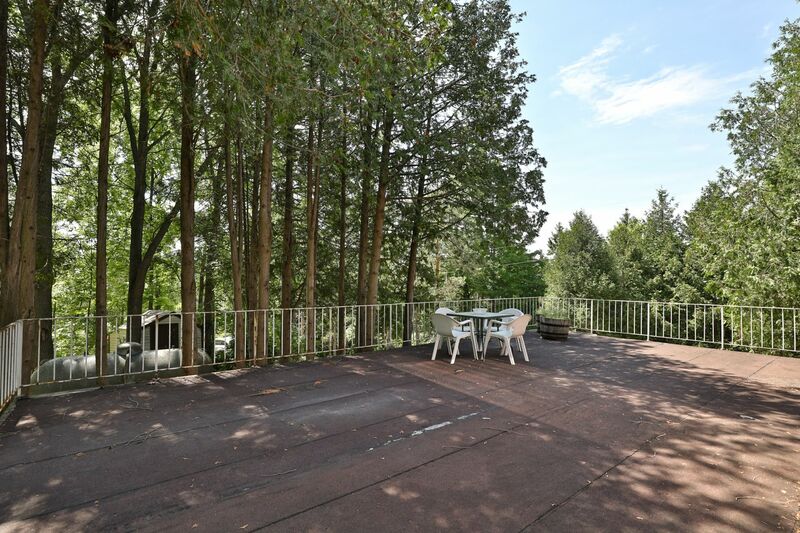 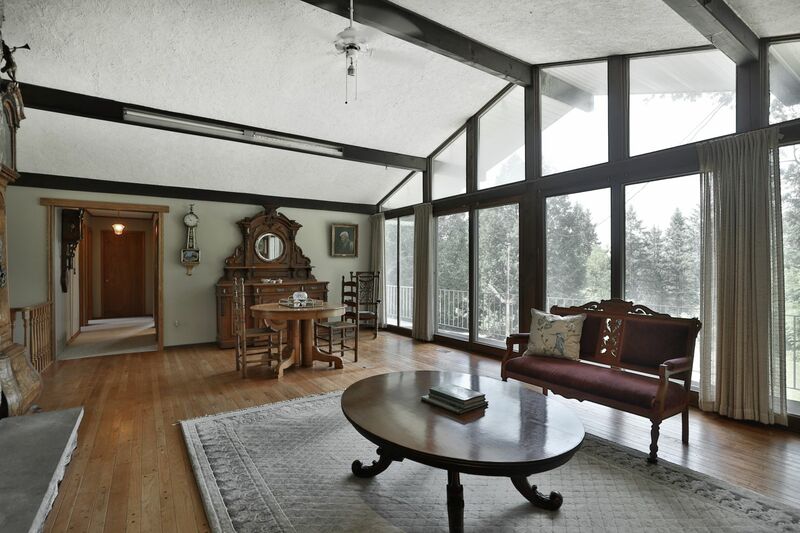 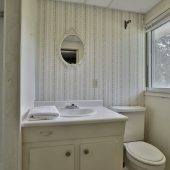 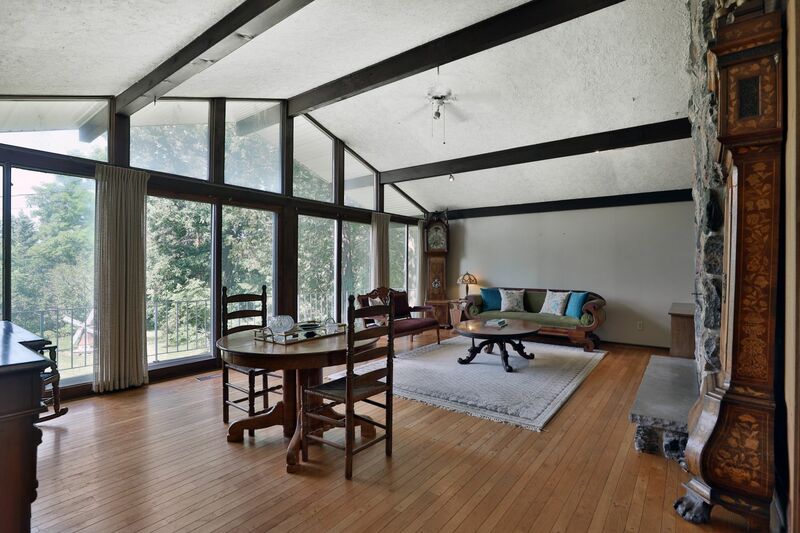 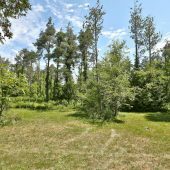 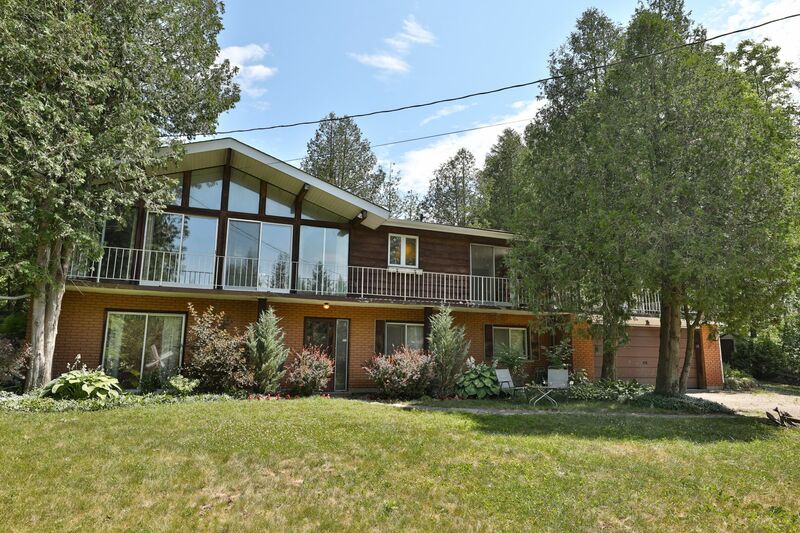 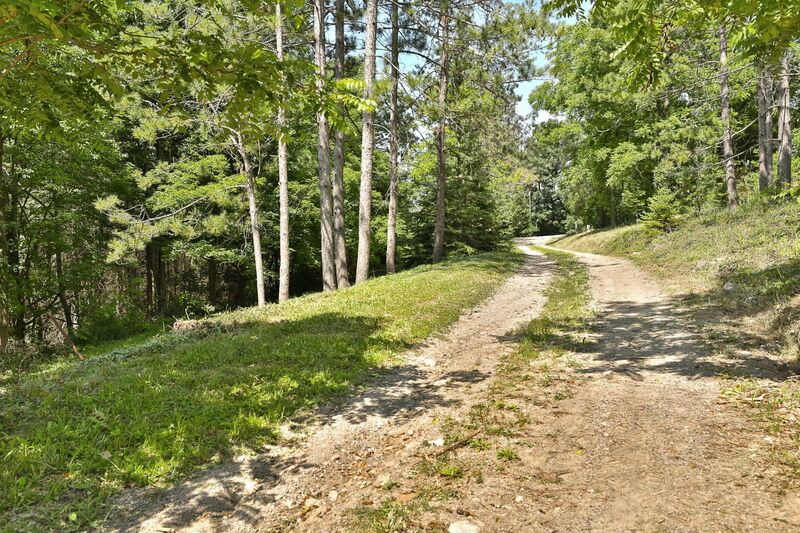 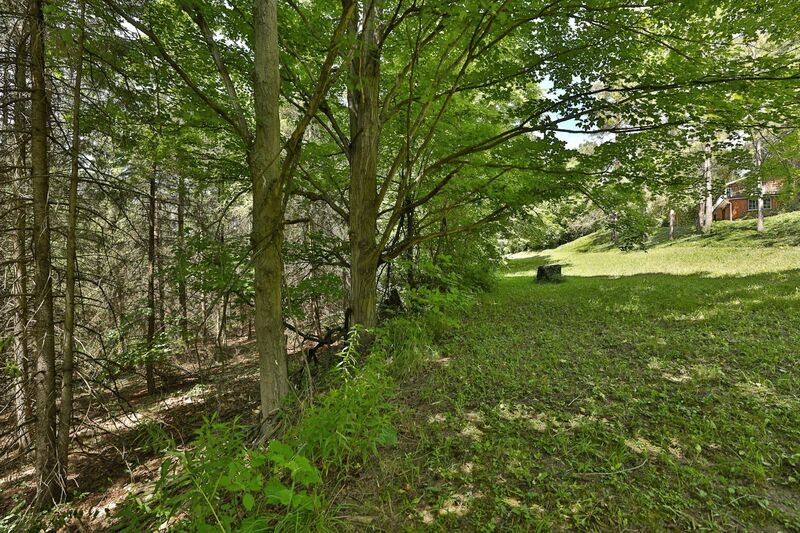 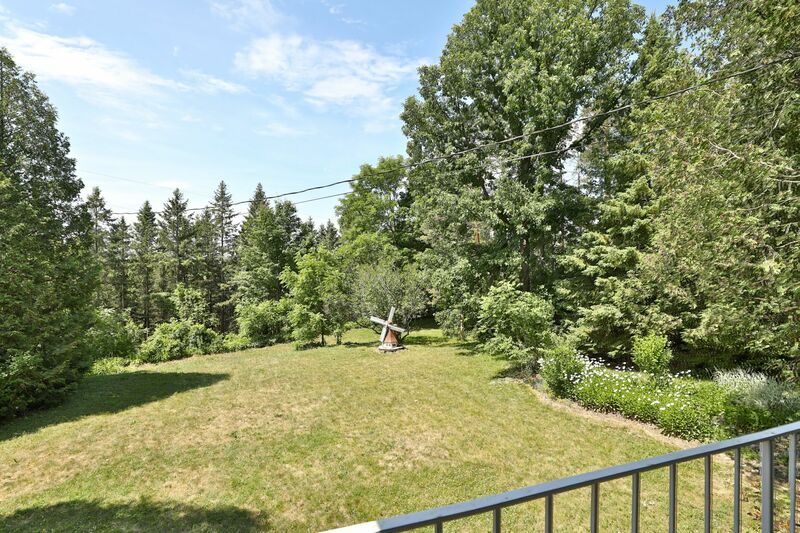 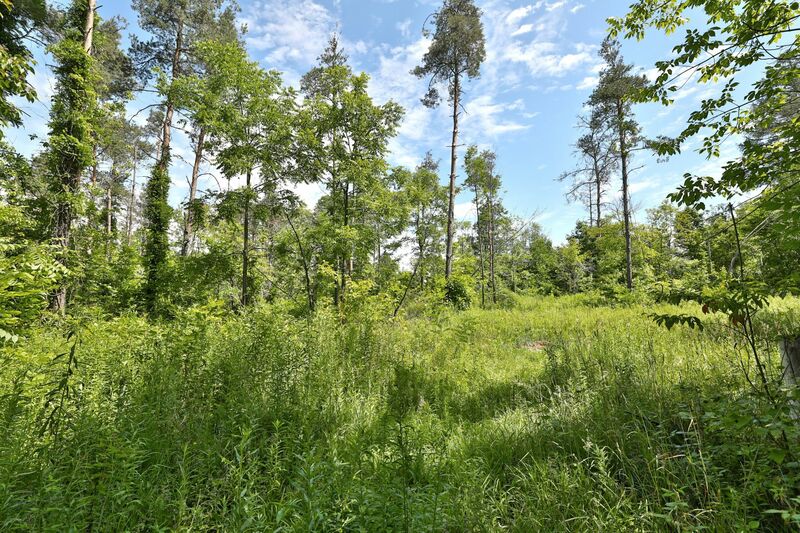 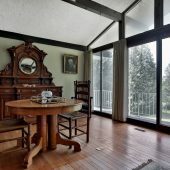 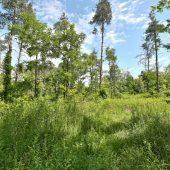 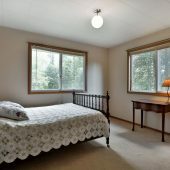 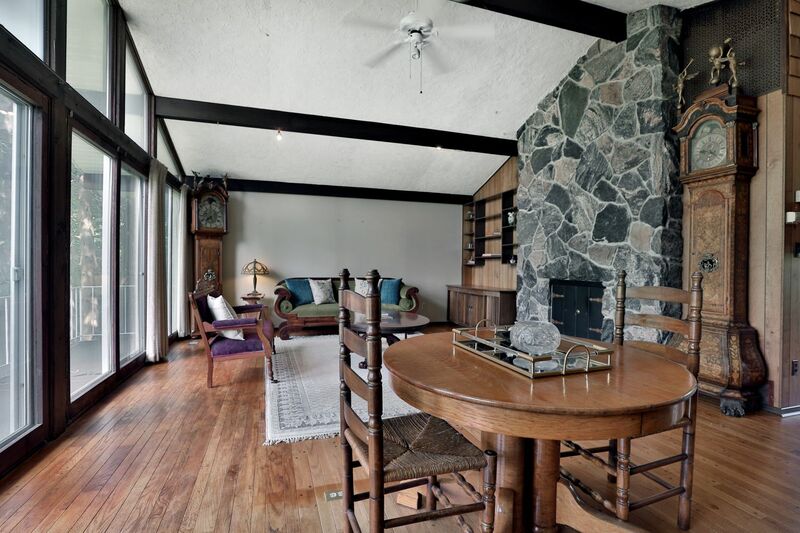 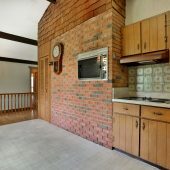 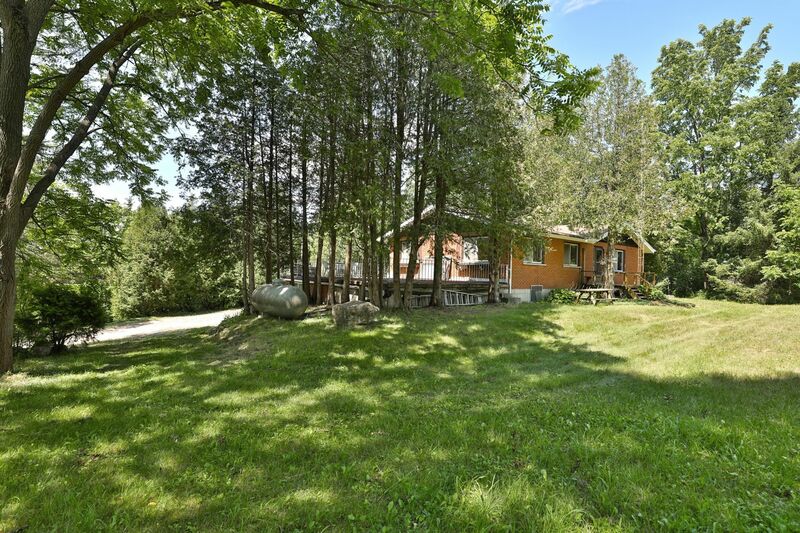 The views are beautiful with a wooded ravine on the west side and a long private lane for privacy off Mountsberg Road. 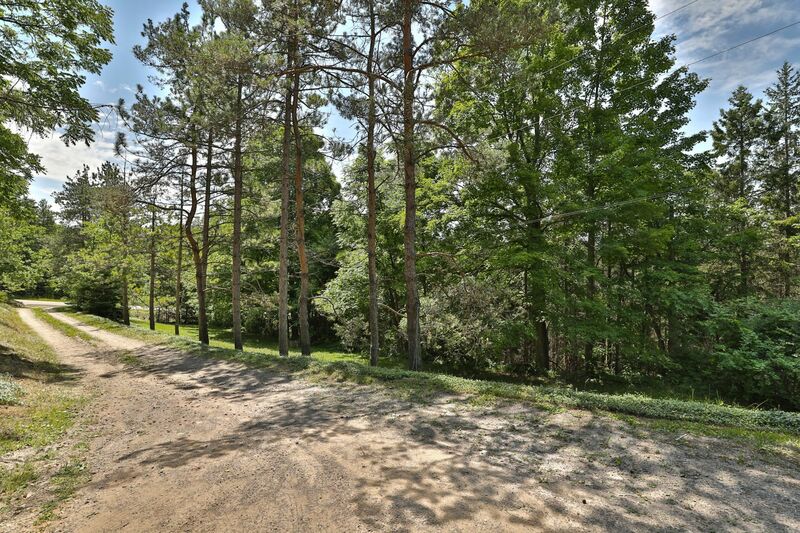 Towering pines and clear areas as well as a mix of other trees gives you the feeling of being far away, yet you are only 3 minutes to Campbellville and the 401 intersection @ Guelph Line. 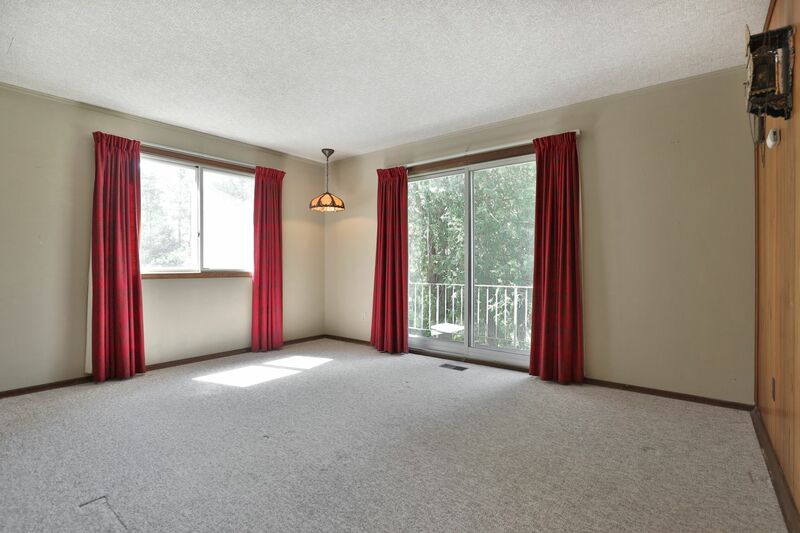 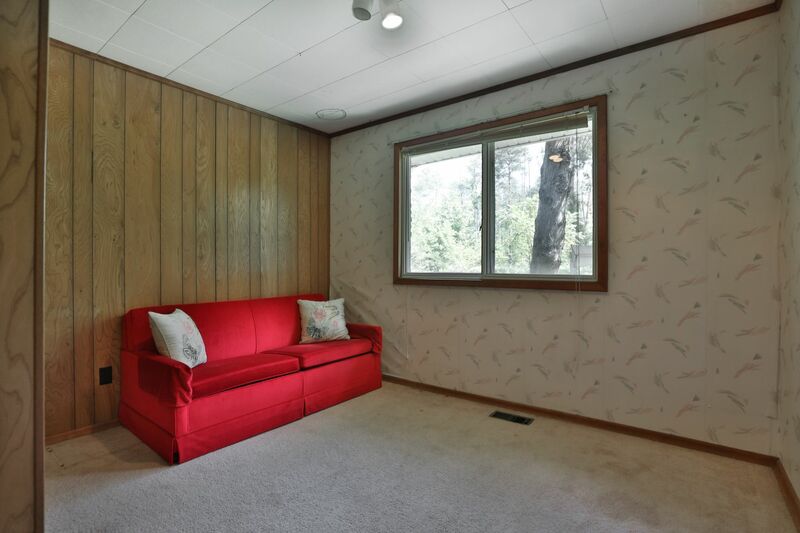 This 3 +1 bedroom home offers 1398 sq. 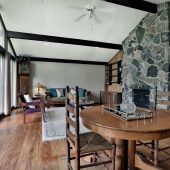 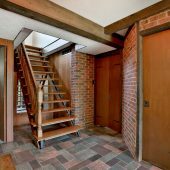 ft. on each level, hardwood floors in the living and dining rooms, granite stone floor-to-ceiling wood-burning fireplace, window-walls to walk outs onto the balcony and deck over the attached 2+ car garage. 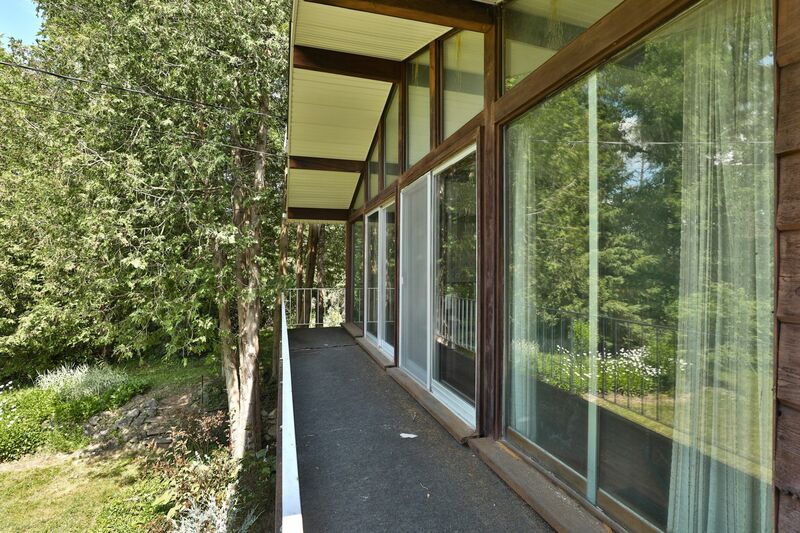 The lower level is fully at ground level on the west side with picture window in the rec. 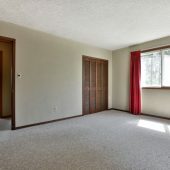 room, a 3 pc. 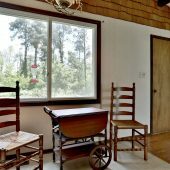 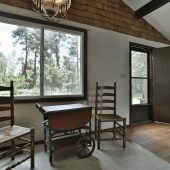 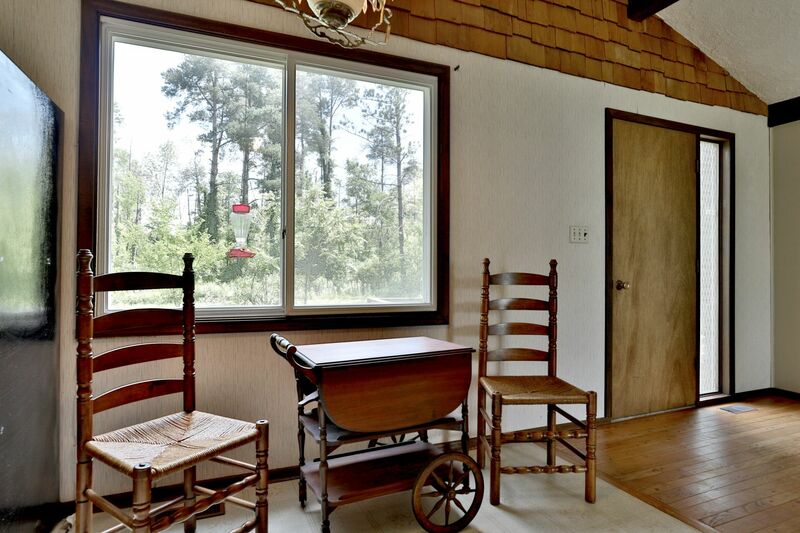 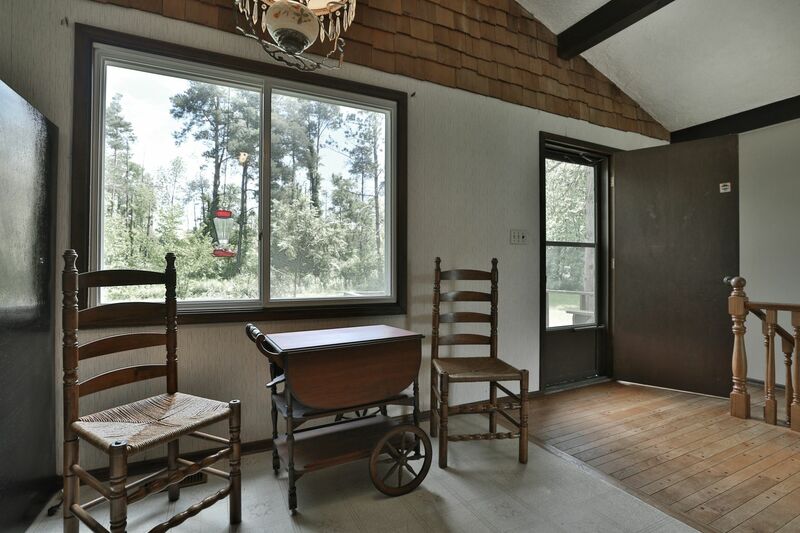 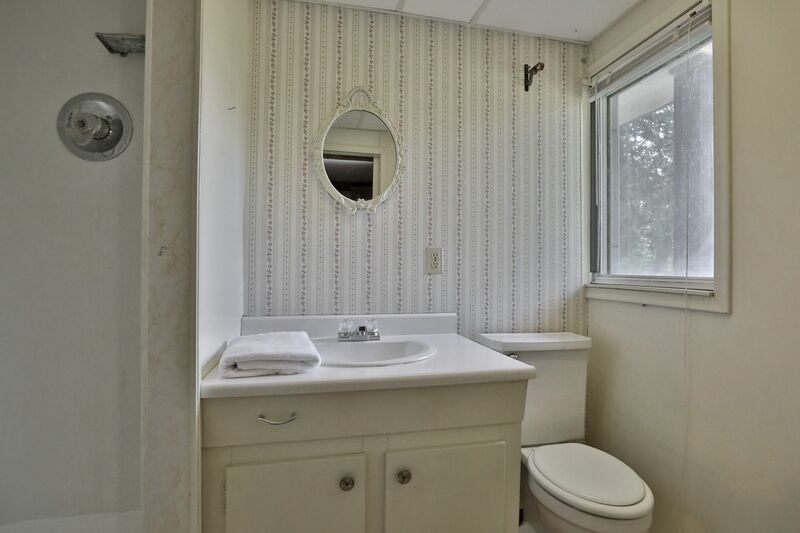 bathroom, bedroom, laundry and workshop as well as the entry door surrounded by gardens. 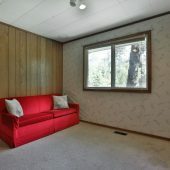 Renovate/Update, or just build yourself a dream house, This could be your paradise. 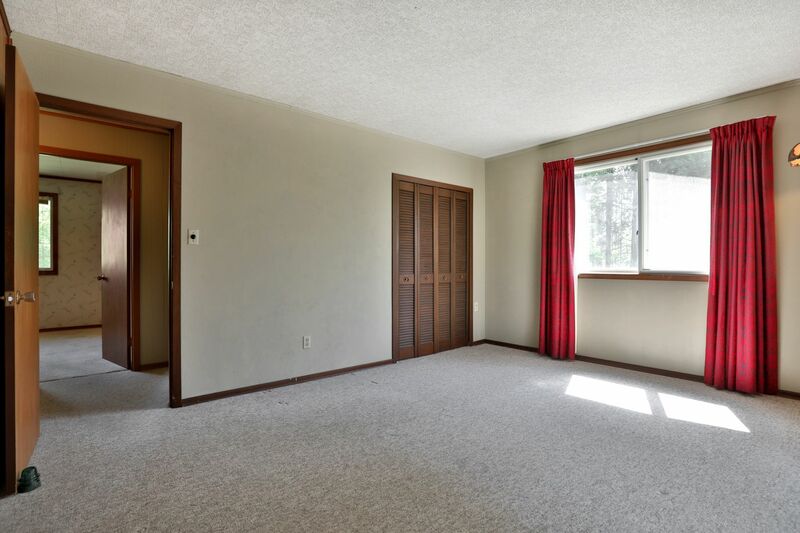 400 ft x 327 ft.